Some issues of Electronic Gaming Monthly included a crossword puzzle near the end of the magazine. 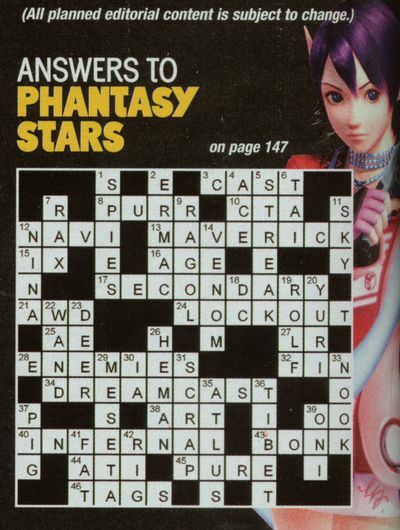 For issue 191, the puzzle was titled "Phantasy Stars" and used some words based on the Phantasy Star series. This is the answer key for the puzzle, as presented by the Phantasy Star Universe newman, Karen Erra. The solution was printed on the page preview the next issue's planned content.